Preheat oven to 375 degrees F. Remove the crescent rolls from the can. Separate at perforations and place crescent triangles onto two cookie sheets. 8 per sheet. Layer one slice of chicken onto the crescent dough. Spread 1 Tablespoon of ranch dressing over the chicken. Then top with one slice of bacon, one half piece of cheese. Starting with the wide end, carefully roll up towards the point. Repeat. Bake for 18-20 minutes, or until golden brown. Let stand 5 minutes before serving. 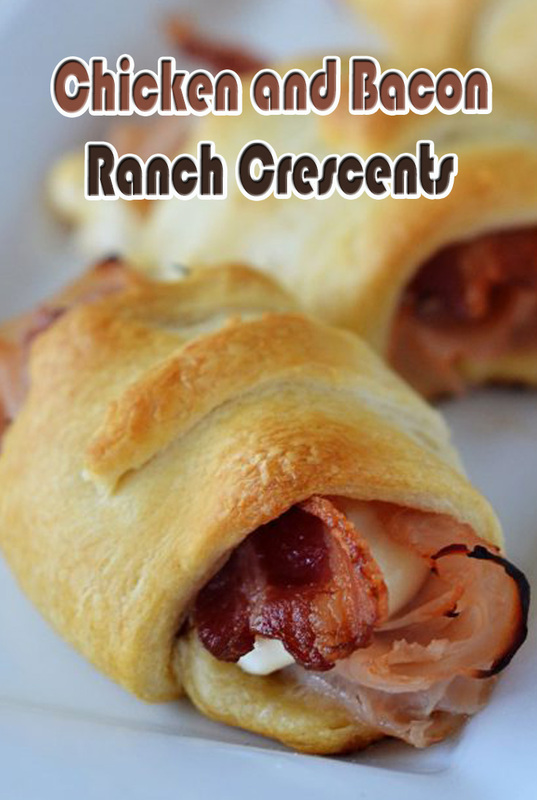 Serve with extra ranch dressing for dipping, if desired.